Betty M. McNew Herr, formerly of Mt. Holly Springs, PA, passed away on Friday, November 30, 2018 in the Bloomington Hospital, Bloomington, IN. She was born January 10, 1927 to the late Clyde McNew and Christine (Starner) McNew. Betty was married for 66 years to Paul C. Herr, who passed away on March 21, 2013. 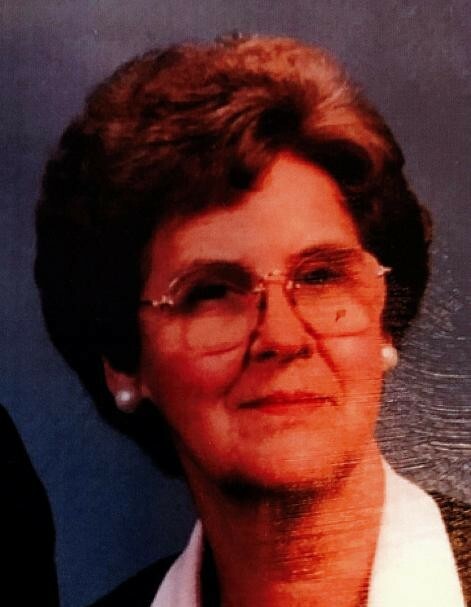 Betty was a graduate of Boiling Springs High School and played trombone in the marching band. She was a member of the Mt. Zion United Methodist Church and retired from AMP, Inc., as an inspector. An avid gardener, Betty loved her flowers and also enjoyed playing the guitar. She is survived by her son, Donald L. Herr and wife, Jenny of Bloomington, IN; three grandsons, David and wife, Emily, Jonathan and wife, Susan and Daniel and wife, Rebekah; and eight great grand children. A memorial service will be held on Saturday, December 8, 2018 at 11:00 AM at the Mt Zion United Methodist Church, 420 Park Dr., Carlisle, PA 17015 with the Rev. Matthew Plant officiating. Memorial contributions may be made in Betty's memory to her church. Arrangements are being handled by the Hollinger Funeral Home & Crematory, Inc., Mt. Holly Springs, PA. Visit www.hollingerfuneralhome.com for condolences to the family and a complete obituary.